Reason #1 for Diva Dweller Love: Our Diva Dwellers share our passion for supporting various local nonprofits that keep this beautiful city a happy place to live, work, and play. Since the beginning, we Divas have been whole heartedly committed to supporting our local community. Kim and Chavi both worked in non-profits before going into corporate and/or real estate. We know that a dollar raised can provide life-saving funds for a small organization. For those of us in Divaland, a strong community means happier, healthier, and better-off citizens, which in turn translates into more homes sold and more Diva Dwellers! But the home buying and selling is not the only place where we come in — we believe that we have our own role to play in process. 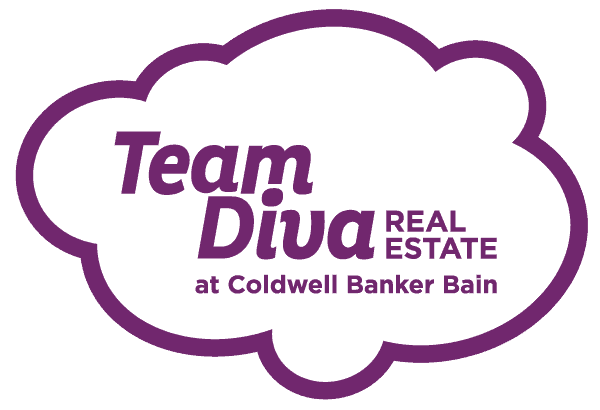 That’s why in 2004, Diva Kim jumped on Coldwell Banker Bain’s Community Partnership Program. Through this awesome program, we donated money to nonprofits doing incredible work throughout Seattle, including 826 Seattle, the Pacific Northwest Ballet, and longtime Diva favorite, FIUTS. But what really made this program work its magic was the community-oriented outlook of our Diva Dwellers — for any Diva Dweller who was connected with one of our established nonprofit community partners, the Team, thru our parent company Coldwell Banker Bain, donated 10% of Team Diva’s commission directly to the community partner. This way, our Diva Dwellers are able to have their own passion and commitment for the organizations for which they work and support stretch even farther! Our next big idea came in 2011, when Divas Kim and Chavi had the fabulous idea to start Divas Take the Hill, a Capitol Hill Pride Kickoff Event that would benefit of a nonprofit supporting the local LGBTQ community. We brought in local celebs and rising stars such as DonnaTella Howe, Miss Kitty Baby Burlesque, and Jinkx Monsoon for the first go-around, and since then our group of talent has been exploding. Over the past four years, we have benefitted some incredible organizations including Three Dollar Bill Cinema, Washington United for Marriage, Peace for the Streets by Kids from the Streets (PSKS), and Inspire Youth Project. But again, the thing that makes these events special (and successful, no doubt) is the level of support from our Diva Dwellers, who come out in droves to tip, drink, and donate their money all in support of our LGBTQ community in Seattle. Over the past 5 years, Team Diva has been able to raise or directly donate over $25,000 to local nonprofits. But whether it be through community partnerships, fundraising events, or just random on-a-whim Donate Like a Diva campaigns, none of this would have been possible without the support and involvement of our Diva Dwellers, who are all committed to make their community a better place. Without you all, not only would Divaland be missing the very thing that makes it so special, but Seattle would be a lot less divalicious. Keep it up!